What's the cheapest rental available in Midtown? Midtown is a "walker's paradise," is very bikeable and boasts excellent transit options, according to Walk Score's rating system. So what does the low-end rent on a rental in Midtown look like these days--and what might you get for the price? We took a look at local listings for studios and one-bedroom apartments in Midtown via rental site Zumper to find out what budget-minded apartment seekers can expect to find in this New York City neighborhood. Listed at $1,799/month, this studio apartment, located at 247 E. 52nd St., is 28.0 percent less than the $2,500/month median rent for a studio in Midtown. In the apartment, you'll find air conditioning, hardwood flooring and wooden cabinetry. On-site laundry is offered as a building amenity. Cat and dogs are not allowed. 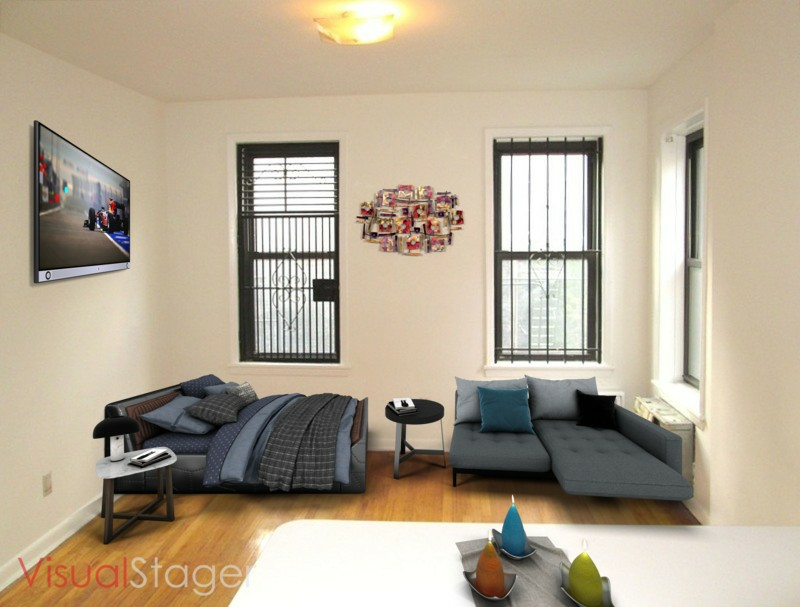 This studio apartment, situated at 358 E. 51st St., #3A, is listed for $1,800/month. Apartment amenities include hardwood flooring, air conditioning, a breakfast bar and wooden cabinetry. Pet owners, inquire elsewhere: this spot doesn't allow cats or dogs. Here's a studio apartment at 1073 First Ave., #2D, which is going for $1,950/month. In the unit, expect to find hardwood flooring, exposed brick, a ceiling fan, stainless steel appliances and wooden cabinetry. The building boasts an elevator. Attention, cat owners: your kitty is permitted here. And finally, there's this apartment at 343 E. 51st St., #2G. It's being listed for $1,975/month. In the unit, the listing promises hardwood flooring, a dishwasher, a walk-in closet, high ceilings, stainless steel appliances, granite countertops and wooden cabinetry. The building offers on-site laundry and an elevator. Pet owners, inquire elsewhere: this spot doesn't allow cats or dogs.